Prime Minister Mitchell as he launched into his unfortunate remarks at the NNP meeting. Video still. Hate speech. Slander. Bullying. Homophobic. Insulting to women. Child abuse. Attack on the nation’s youth and nation’s minority. Unfortunate. Unacceptable. These are the words and terms trending since Sunday night’s unfortunate comments by Grenada’s Prime Minister, and leader of the ruling New National Party (NNP), Dr Keith Mitchell. On Sunday, 28 May 2017, the NNP held a public meeting at Snug Corner area of Boca, St George. A massive crowd of supporters came out to witness and to be a part of the build-up to the NNP’s Women’s Convention. Many speakers addressed the audience, but the Prime Minister left many persons at the event and others who tuned in via live television and internet video streams, unhappy and distressed, after he maligned two young male caretakers for the opposing party, the National Democratic Congress (NDC). What exactly was he insinuating? Mitchell is an ex-minister for Women’s Affairs. Ali Dowden is a Queen’s Young Leaders alumnus awarded in 2016 by Her Majesty Queen Elizabeth II. On Sunday, during his address, within the space of 1 minute, (2:25:37 – 2:26:30 approximately of the video), Mitchell stated the NDC as “maligning people’s character” and as being “the most dirty-mouth people you ever pass in this country,” as well as their use of “mauvais langue and bad mouth,” followed by praise for his party’s focus on “youth development and everything that goes with this,” before launching into “they say they have a candidate in North West…” and began to speak about not liking child abuse. Mitchell continued that “I’ve never abused any children, but if a child faces me in politics, then I will have to do what the people want me to do,” (in obvious reference to Dowden, his rival for the St George’s North West seat). 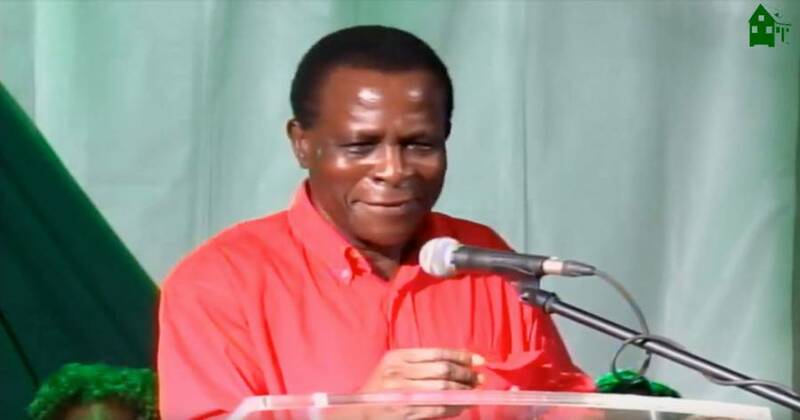 Roberts commented that it is clearly an indication that Mitchell has realised that he has failed to address the needs of the Grenadian people. Reiterating that there is no truth to the aspersions cast by Mitchell, Roberts said he sees this as nothing more than an act of desperation, which shows that the PM is somewhat backwards in his thinking. Roberts called on groups such as the Conference of Churches, Civil Society, Trades Unions and others to “condemn the hate speech… We are sorry to have such a pathetic leader, resorting to such unfortunate language in 2017.” These same groups were singled out for praise by Mitchell within moments of the unfortunate remarks, for providing “moral guidance” to where Grenadians are, as a people. Both Ali Dowden and Tevin Andrew opted not to comment on the issue. Efforts made to contact non-governmental organisations (NGOs) including the Grenada Human Rights Organisation (GHRO) and the Grenada National Coalition on the Rights of the Child (GNCRC), proved futile. Youth organisation, the Rotaract Club, declined comment at this time.